A high output, exceedingly compact range of high quality LED spotlights that are available with a choice of different fixings and the very latest LED technology. These spotlights have been a popular selection for retail design specifiers, jewellers, and museums throughout the UK and US and have been proven to be an extremely effective display lighting solution. 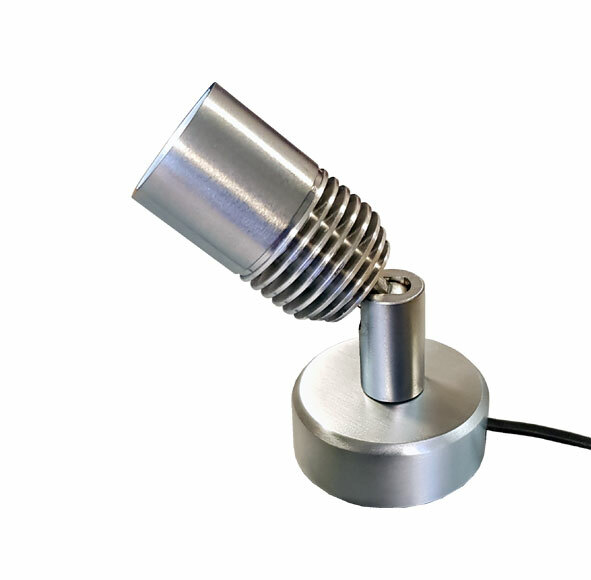 Spectrum 2W Miniature LED luminaires are offered with warm, cool or neutral white integral high quality LED. Spectrum LED spotlights operate from 500mA constant current LED power supplies, we have a number of dimming options available if required i.e. 1-10V, Trailing Edge and now we offer Bluetooth control via your IOS or Android tablet or smart phone, please see the recommended drivers at the bottom of each of the product pages.